The prediction results are evaluated with the so-called Area Under ROC Curve (AUC), which we refer to as AUC. 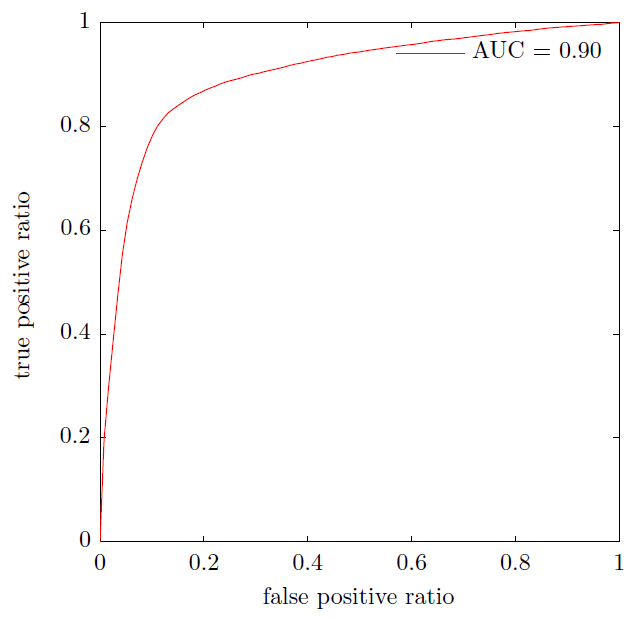 It corresponds to the area under the curve obtained by plotting the "True positive ratio" against the "False positive ratio" by varying a threshold on the prediction values to determine the classification result. The AUC is calculated using the trapezoid method. NET_neuronI_neuronJ: The key of the connection neuron I -> neuron J, in the format NET (network name) followed by the number of the neurons I and J. Strength: The strength of the connection (your numerical confidence score between 0 and 1).